Welcome to timkennellysolicitors.ie, the online hub of one of Kildare's busiest law firm's. Based in Naas, we serve the needs of clients locally, regionally and nationwide in all court matters of Criminal Law, Family Law, Employment Law and Personal Injury claims. Established since 2012, we offer a diversity of expertise that covers the most significant areas of Irish law, providing the highest quality, value for money legal services and pride ourselves on our commitment to our clients. We provide excellent, relevant, quick and clear legal advice. We were delighted that our small team won Excellence in Client Service Leinster at the Irish Law Awards 2018, and were finalists in two other categories, for Leinster Solicitor of the Year, and Leinster Sole Practitioner/Sole Principal of the Year. This annual event is designed to recognise outstanding achievements in the legal profession in Ireland, commending the achievement of lawyers. 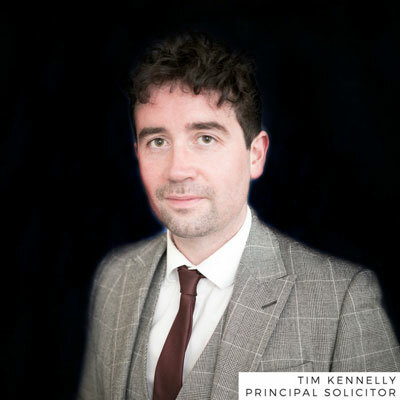 At Tim Kennelly Solicitors, people are our business and we put our clients' needs at the heart of everything we do. Our main objective, is and always will be, to advise our clients in an efficient and communicative way, so as to ensure the continued success of the Firm. Our services are available out of hours and on weekends as we recognise the vital importance of consulting with a solicitor and obtaining legal advice when it is needed and we always endeavour to respond accordingly. We also offer flexible consultations during the week and at weekends, to make our services adaptable to meet people, who otherwise, wouldn’t have time to meet with us. As a business dealing with people and issues that can significantly affect their lives, client service and their satisfaction in it, is the most important part of our work.